The United States is in the midst of an historic collapse in childbearing. 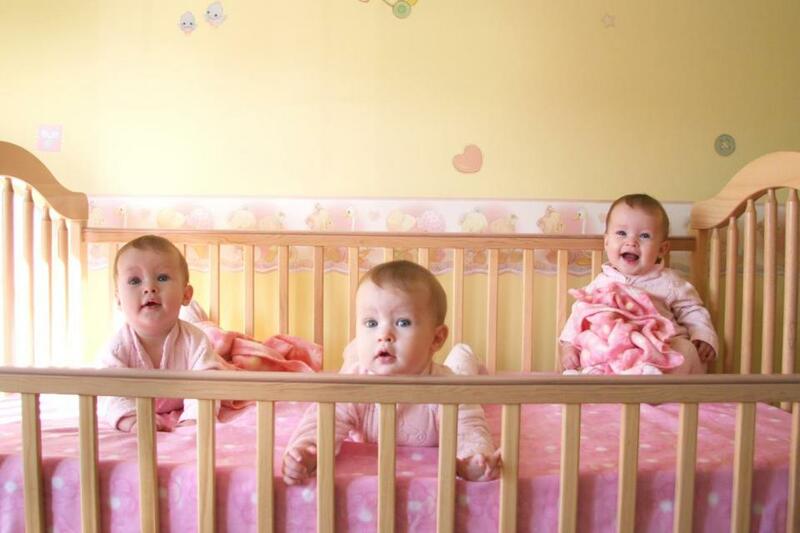 Ten years ago, the typical American woman had about 2.1 children. Today, it is about 1.77, representing a collapse in fertility on par with the declines in other countries that yielded Japan’s rapidly graying population in the 1990s, or Canada’s massive present-day demand for immigrants. This decline creates new long-term problems for the United States: obligations like Social Security will be substantially harder to finance than current projections suggest, because all current projections use out-of-date, excessively optimistic forecasts of fertility. Far from creating mass joblessness, large-scale automation will become a vital necessity simply to maintain current economic activity with fewer workers, as care for the aged eats up all growth in productivity. And, perhaps most tragic of all, tens of millions of American women will be prevented from achieving their family aims due to a society that is increasingly unsupportive of the next generation. We’re used to hearing about a theoretical threat of overpopulation, either in terms of the environment or the economy. But that ignores the demographic trend that we’re actually facing: a sharply declining birthrate. Historically, abrupt demographic shifts like this have triggered profound societal changes. We appear headed for our own. Demographics, as they say, is destiny. In many poorer, developing countries, fertility rates are excessively high: far above what women say they want, and far above what the earth’s finite resources can reasonably sustain. The problem in the United States is the reverse. The number of children American women say they want to have has risen from a low of 2.3 in the early 1990s to about 2.7 today, meaning that the “fertility gap,” or the number of kids women want to have versus how many they actually have, is the largest since the 1970s. While the 21st century has seen welcome declines in unintended and teen childbearing, suggesting women are achieving greater negative control of their fertility, our current period has also seen a worsening of what we might call positive control of fertility. As of 2017, it is plausible that missing births may substantially outnumber unintended births. This is a serious public policy problem, and a unique failure to advance the interests of women and their families. And it’s getting worse at a far more rapid pace than most demographers expected. Since 2015, the fertility rate has fallen in every single state except Connecticut, where the 2015 rate was already tied for second lowest in the nation. These declines have been most extreme in Western, Mormon-heavy states like Utah, but have been observed everywhere. In early 2017 particularly, the pace of fertility decline has quickened, with an average 0.07 births per woman expected to be lost over the course of the year. Similarly abrupt plunges in childbearing have happened twice: the end of the Baby Boom in the 1960s, and the baby bust of the 1920s into the Great Depression. Both drops created demographic bubbles, the consequences of which we are still dealing with today. Many people shrug when I tell them that over the last 10 years, the projected size of the next generation has fallen by 20 percent. Won’t that be good? Won’t that help the environment, reduce pressure for jobs, help us deal with automation, and, besides, only per capita GDP matters anyways? Wrong. First of all, US population growth rates have virtually no impact on global climate change. Indeed, lower fertility can raise emissions if couples replace low-short-term-emissions activities like “playing with your infant” with high-emissions-activities like “wine-tasting tours” or “vacations to Thailand.” More importantly though, even the lowest United Nations global population forecasts would yield catastrophic climate change if there is no economy-wide improvement in carbon efficiency. The hard truth is that there is no achievable fertility rate low enough to bail us out of dire global warming if technological solutions fail, and this is doubly true in already-low-fertility countries like the United States. Reducing the birth rate in very high-fertility countries may have a real impact; not so much in low-fertility countries. Won’t a lower population cushion the job losses from automation? The research is speculative , but, broadly speaking, the Japanese experience may be illustrative. Extremely weak labor force growth probably hastened automation. And while fewer workers should, in theory, mean higher wages — with intense competition, among employers, for a smaller labor pool — Japanese real income per person has actually shrunk since the early 1990s. More broadly, a declining population creates numerous perverse economic dynamics. For example, to maintain a fixed growth rate in the economy, if the working-age population is shrinking, then productivity must rise even faster. But productivity in the United States has been rising relatively slowly recently. Does anybody seriously expect the next 10 years to see productivity growth rates 2, 3, or 4 times higher than they’ve been of late, as would be necessary to offset lower labor force growth? Will tax reforms that slash support for universities and research initiate such a boom? Probably not — which means that, when population growth slumps, so will economic growth. With a slower-growing economy, new companies can only grow by capturing market share from incumbents: they can’t simply claim “new consumption” due to rising national income, they have to compete to steal existing consumption. In other words, the environment for start-ups and new companies will become more hostile, and incumbent companies will have a bigger advantage. Economic dynamism, and especially start-up activity, is already in decline in the United States; slowing population growth will exacerbate that. And that’s not even including any more speculative effects: changed family structures may change personality trait distribution in the population, biasing towards more cautious and conscientious people, away from creative risk-takers. Lower population growth may exacerbate social tensions due to immigration, as immigrants become the sole source of population change, giving nativists extra firepower. All of these concerns relate to fundamental dynamics of the economy or society. But there is a more pressing political question as well: long-term obligations. The last census forecast of population was excessively optimistic; within a year of its publication, the United States was thousands of people below its forecast trajectory. Today, we are hundreds of thousands or even millions below the 2014 forecast. These population forecasts are the primary baseline for long-term budgeting decisions related to Social Security and Medicare. In other words, even the most pessimistic politicians are probably working with an excessively-rosy demographic baseline for costing out long-term obligations. As the ratio of working-age people to dependents rises, we either have to raise taxes on workers, lower benefits for dependents, or take on more debt. Japan’s solution has been to take on debt. But Japanese citizens have vastly higher savings rates than Americans, so this is a lot more manageable for them than it will be for America. We will have to work out our problems somewhere on the fiscal balance sheet, with taxes or spending, or else we’ll have to print money to pay for retirees. How dire is this issue? Well, the difference between a recovery to 2.1 kids per woman by the 2040s and a static fertility rate of 1.75, about current levels, is 21 million Americans in 2060, almost entirely working-age Americans. It’s the difference between population decline after 2040, and population increase. Calculating in the number of retirees as well, the fiscal strain on working-age taxes or retiree benefits will be about 6 percent worse. That may sound small, but that amounts to somewhere between $60 and $90 billion in payroll tax increases every year. And that’s just assuming that fertility rates don’t fall any more than they already have. The truth is that fertility rates will probably keep falling. Declining fertility is driven by trends that seem to be continuing unabated: delayed marriage, declining reproductive sexual activity, increased use of long-term contraception, rising cost of child-rearing, declining religiosity, and other factors. None of these seem poised for a reversal. As such, we can expect that the future payroll tax bill will simply keep growing, or else the benefits retirees can expect to claim will steadily shrink. For benefits, a reasonable rule of thumb is that the benefit cut necessary to compensate for 0.1 fewer kids on average now is 1-3 years of zero percent cost-of-living adjustments to Social Security checks. Perhaps manageable, but the political capital for Social Security reform doesn’t exist now, and is probably only going to get harder to muster as beneficiaries rise as a share of the electorate. Society needs more kids. Women want more kids. More American babies would ease numerous social and economic pressures. And without them, we face the prospect of a shift in the global strategic balance away from the democracies of the world, towards illiberal states. Unfortunately, there isn’t much policymakers can do about the problem. Financial incentives for fertility do have some small effect, but the cost is high compared to the number of births they produce. Cash payments are worth doing anyways: parents deserve to be compensated for their unpaid labor on behalf of society’s next generation. But cash alone won’t boost fertility. Progressives often favor generous family leave policies, universal healthcare, and government-provided childcare as pro-natal solutions. Family leave policies, however, have little to no demonstrated impact on fertility, although they may be laudable for their positive effects on parental career paths. Childcare subsidies do have a small impact on fertility, but ultimately less than pure cash incentives. Though, again, it may be worthwhile to support childcare costs anyway. Universal healthcare, meanwhile, has no empirically demonstrated effect on childbearing, and, indeed, many single-payer countries have much lower fertility than the United States. Restrictions on abortion or contraception favored by many conservatives are likewise ineffective: Research on clinic closures in Texas and contraception restrictions in abortion-restricting Chile suggest that, in developed countries, women are able to find ways to manage fertility despite restrictive policies, and so changed contraceptive access does not alter total fertility enough to really matter. Like progressives’, the pet-policies of conservatives simply are insufficient to the present crisis. It takes a cultural change to fix this problem. Businesses giving carseat-designated parking places, Hollywood changing the presentation of (especially 20-something) parenting on screen, social attitudes about marriage, university support of nontraditional students. We have to get creative about ways to nudge our country towards a more sustainable footing. We need society to decide that it’s worth listening to women and easing the path to their desired family life. We need society to stop free-riding off the free labor of parents (especially women), and start shouldering the cost, financially and otherwise. And we need young people to fall in love and marry the person they love, then transform that love into a new love, the love of children. It’s rare that “love” is the solution to a policy problem. But maybe, just maybe, this Christmas season, it can be. Lyman Stone is an economist and migration blogger. This piece was partially adapted from a post on Medium. He tweets at @lymanstoneky.